David Bowles wrote a poem in 2016 called “Border Kid,” a nostalgic piece on crossing into Mexico when he was with his father as a child and being disappointed at the sight of the “tall and ugly” fence that separated the U.S. from its southern neighbor. The poem was commissioned for an anthology that was published right as Donald Trump was inaugurated as president in 2017 in the hopes of helping teachers work with kids of color who were feeling anxious about what they were hearing on the news. Shortly after, Bowles was inducted into the Texas Institute of Letters, a nonprofit honor society that recognizes and supports Texas literature. Part of the induction includes reading your work at a conference in front of your literary peers from across the state. Bowles chose to read “Border Kid.” Bobby Byrd, one of the owners and editors at Cinco Puntos Press in El Paso, was impressed by the poem and told Bowles that, if he could write 15 more pieces in the same young voice as that in “Border Kid,” he would happily publish a book. 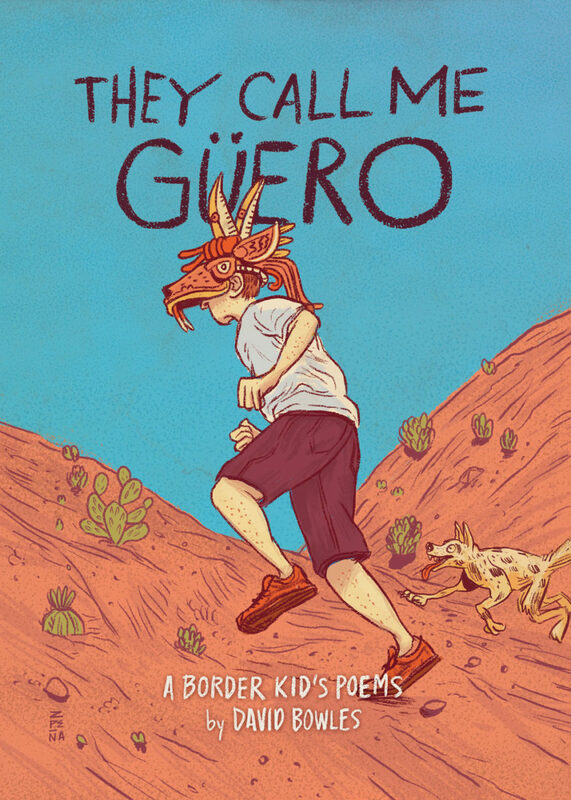 That was how “They Call me Güero” was born, a novel of 49 poems pieced together to tell the narrative of a 12-year-old boy navigating the seventh grade as a light-skinned Mexican-American with the border as the backdrop. Güero deals with racism and bullies and has friends who are undocumented. He is also discovering girls all while learning to love poetry. Bowles, who has written 14 books in the last seven years, grew up in the Rio Grande Valley and is a professor at the University of Texas Rio Grande Valley. He says about 30 percent of the book is autobiographical. Much of the rest of the book is based off the experiences of his son and from stories of kids he taught as a public school educator in the Valley. If you grew up in the Valley, you will immediately recognize the traditions described in the book. For example, there’s a quinceañera his family is preparing for. Güero’s sister would rather have a car than a big 15th birthday party but his mom insists because it’s family tradition. Güero also accompanies his mom to the pulga. If you grew up in the Valley, you likely have gone to a pulga or two. And every Christmas Eve there’s a tamalada at mimi’s house. For the most part, the book is light-hearted but tackles emotional issues. In one particular poem, he wishes he wasn’t light-skinned with red hair and freckles because the kids at school are giving him a hard time about his appearance. Güero’s dad comforts him by explaining that “pale folks catch all the breaks” on both sides of the border. “Doors will open for you that won’t for me,” Güero’s dad said. Last week, the We Need Diverse Books organization honored “They Call me Güero” with the 2019 Walter Dean Myers Award for Outstanding Children’s Literature in the Young Readers Category. Bowles has also begun working on the sequel to the book. David Bowles is a professor for the UTRGV Department of Literatures and Cultural Studies in the College of Liberal Arts. This spring he is teaching a class on the ancient Aztec language Nahuatl. It is the first of its kind at the university.